First of all, let me say that I am a Venom super fan. I collect the comics, I love his personality, and Vemon’s character design is suped up Spider-Man... which is fantastic. To say that I high expectations for this film, is an absolute understatement. Just like the rest of the nerd of the internet, I did not want Marvel to let me down. So, here I am dishing out my vertict on this movie, 45 minutes fresh out of the theater. To be totally honest, I’m still in shock as to how great this movie was, despite all the negativity surrounding its release. I found a few common factors in these pessimistic reviews, that I will discuss further in the article. Do not freight loyal reader, as there is no need to scroll to the end of this post for my verdict... the movie was great! It’s worth a trip to the movies, just like any other Marvel movie. Lots of CGI magic, classic Marvel humor, with stereotypical battles between “Good” and “Evil,” blah blah blah. All I can say, is if you are looking for a ‘serious’ movie from Marvel, you’re looking at this genre of film the wrong way. Rotten Tomatoes states that the movie is “in desperate need of a stronger attachment to Spider-Man.” Now, I understand that most marvel fans want to relate this movie to Spider-Man, considering that’s where venom made his first appearance, via comic book and feature film. We’re all gripping onto classic storylines and clinging to the popularity of the web slinging hero that we know and love. I get it, I really do! Here’s the big ol’ BUT... Venom can have its own story and doesn’t have to exist exclusively in the MCU for it to be a good storyline. Just like Peter Parker can exists in a storyline without Tony Stark and still be badass. Shocker! 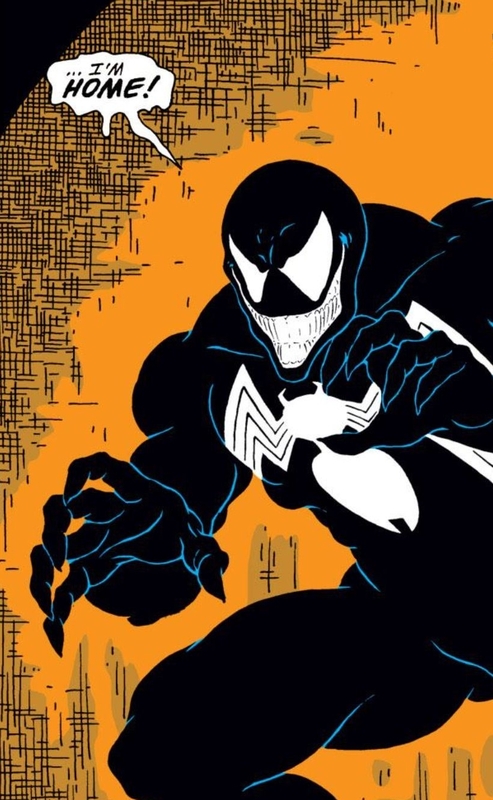 Oh sorry, wrong villain, back to Venom! 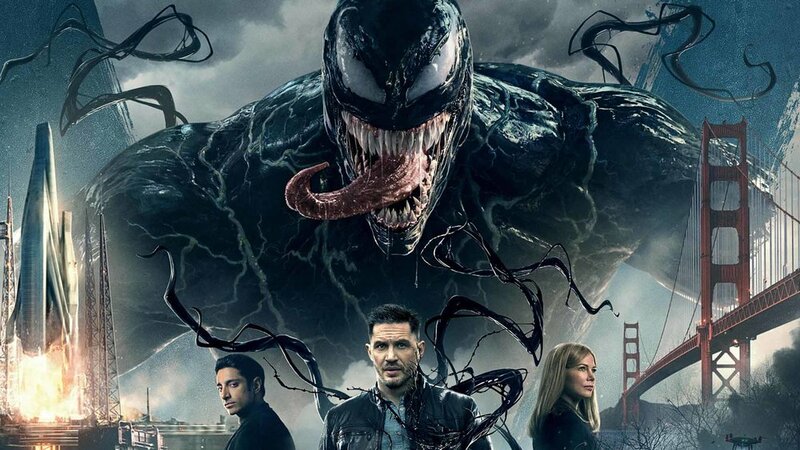 An IGN writer reports that the movie “relies on adolescent humor and gross-out gags in a way that doesn’t gel with the intensity of Hardy’s performance.” I find this to be extremely funny, as Hardy’s uptight, serious personality melted so well with Venom’s snarky commentary in my opinion. Like I’ve said before, I do not take ‘comic book’ adaptations too seriously. I felt that leaning too heavily to comedy would have soured the movie for me, where as making it too serious would turn it into a snooze-fest. I think the harmony in the two personalities made for a entertaining movie. As posted by Polygon, “Venom would be another anonymous notch on the superhero movie belt if not for Hardy,” which I have to agree with. 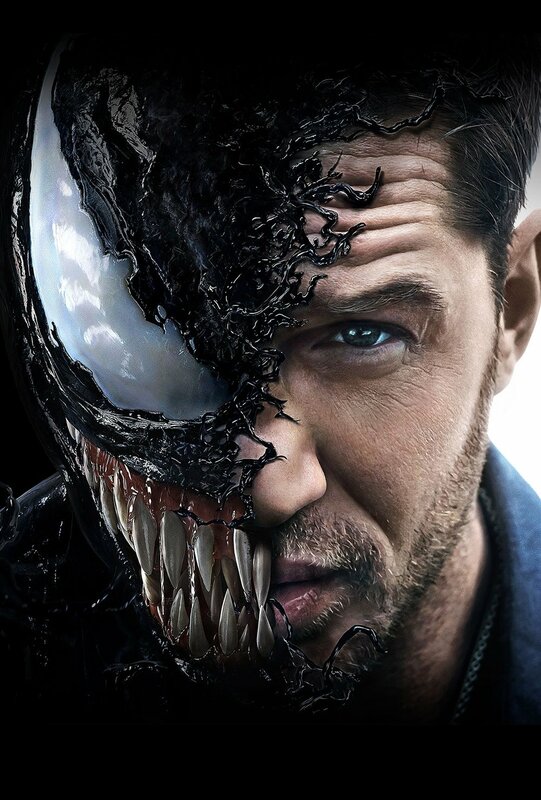 Tom Hardy does an excellent job portraying Eddie, and his comedic parasite Vemon. I found the humor delightful, and exactly what I needed from this film. With the release of movies like Deadpool 2, Avengers: Infinity Wars, and Black Panther, it’s no wonder people are expecting greatness from Marvel at every turn. I did wonder if an appearance from Spider-Man, and more thought-provoking script would have really made a difference to the nerd-enthusiasts. Honestly, I highly doubt it. Spider-Man 3 doesn’t have to best reviews either according to sources like IMBd and Metacritic. I don’t blame Marvel for wanting to take a step in a new direction for this underrated antihero origin story. All in all, the movie is dope, go see it, take it for what it’s worth and enjoy another great Marvel movie... you losers.